The Town Greenevers is pleased to announce that the draft Local Wellhead Protection Program Plan has been approved by the North Carolina Department of Environmental Quality. This plan was developed by the Town of Greenevers with assistance from the North Carolina Rural Water Association and input gathered from the public. This is a voluntary program intended to assist us in protecting the system’s water supply from contamination, and to identify vulnerable areas around our wells called the “Wellhead Protection Areas”. 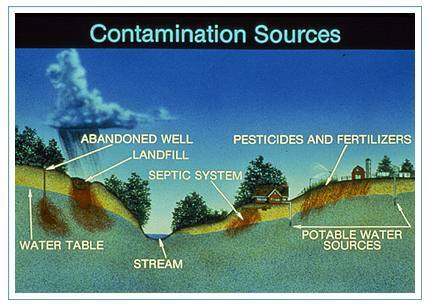 Another goal of this program is to make residents and businesses aware that chemicals and other pollutants spilled or dumped near the “Wellhead Protection Areas” can be drawn into the wells, possibly contaminating the system’s drinking water supply. 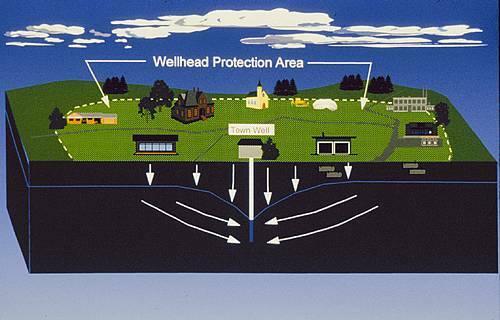 A copy of the Wellhead Protection Plan is available for review at the Greenevers Town Hall located at 314 E. Charity Rd., in Greenevers and on the town’s website (see the “Relevant Documents” section below). You are invited to review the program and submit any comments or suggestions to the Town of Greenevers. All written public comments will be reviewed by the Wellhead Protection Committee, and any suggestions or comments that may be beneficial will be incorporated into the program. The Division of Environmental Assistance and Customer Service (DEACS) helps to expand the use of sustainable practices regarding waste reduction, energy efficiency, water conservation and emissions reductions. DEACS staff can assist you with many different services, including recycling and waste reduction assistance; environmental technical and permit assistance; free onsite energy and water use audits; small business advocacy; facilitation of financing and tax credits for recycling businesses; coordination of exchange markets for reusable materials; express permitting coordination, and development of sustainability plans and environmental management systems. For general questions about the environment, regulations and other related topics, give DEACS a call at 1-877-623-6748.